Whether you have a spare day or a spare weekend you'll find plenty to do in Healesville. I'm lucky enough to live within 30 minutes drive of this stunning country town and regularly visit for leisurely lunches and a spot of window shopping. Healesville is fast becoming a gourmet food and wine hub and why wouldn't it? It's smack bang in the middle of Victorian wine country, the Yarra Valley. If you're not fortunate enough to live as close to Healesville as me, this place is worthy of spending a weekend discovering all it has to offer. My favourite place to dine is the Wattleseed Cafe. This mecca of Australian fare is open for breakfast, lunch and dinner and prides itself in using local produce and fresh ingredients. Make sure you leave room for dessert! 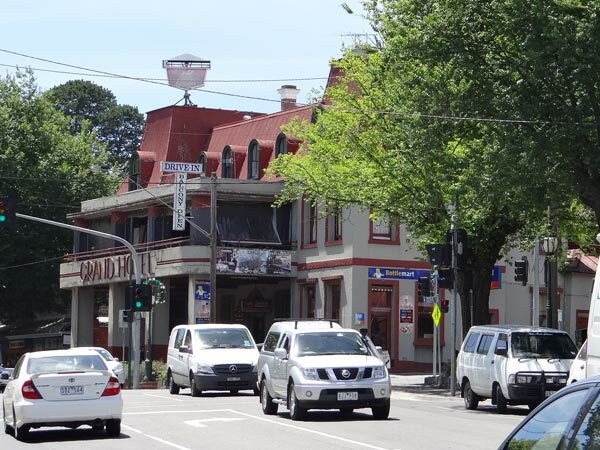 If you're after something a little less formal then continue through town and stop by the Beechworth Bakery, a Victorian icon that serves good old fashioned bakery fare. The custard tarts here are perfection! This bakery is always busy but service is quick and is kid friendly with plenty of booth seating and space for those restless littlies. Healesville is home to plenty of pubs, restaurants and cafes so if you're spending a weekend here you will be spoiled for choice. Shoppers won't be disappointed here as there is an ever growing selection of specialty shops that sell all kinds of goodies from clothing, candles, local produce, jewellery, arts and crafts, bric a brac, gifts, kitchen ware, secondhand books, chocolates, antiques plus lots more. For those seeking something a bit more relaxing swing by the day spa and prepare to be pampered! There is lots to see and do in Healesville and you'll most likely need to make more than one trip if you want to experience it all. So get out your calendar and start planning!